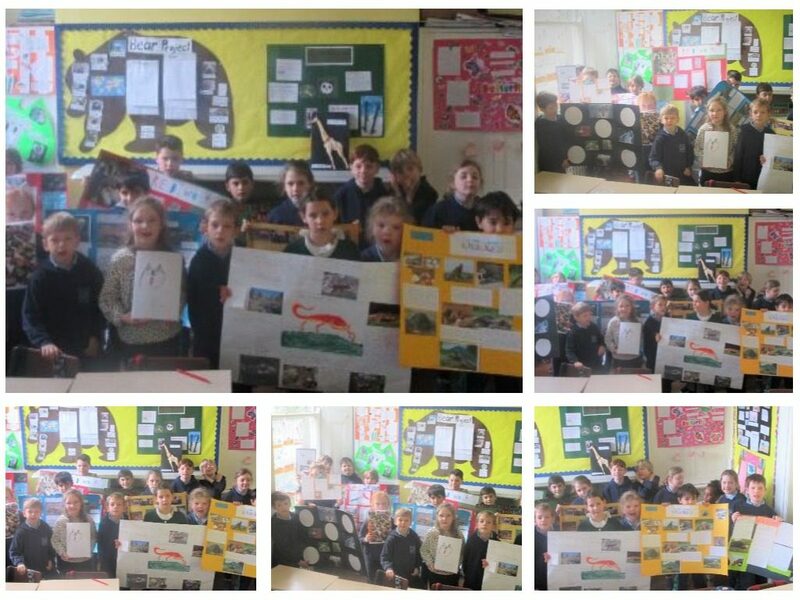 This week we have each been presenting our first projects to the rest of class. We were asked to write facts about an animal of our choice. The class chose many different living creatures. Here are some examples: Black Mamba, Koala, Newt, Dolphin, Panda, Tiger, Red Panda, Komodo Dragon, Arctic Fox, Chicken, Giraffe, Butterfly, Crocodile, Wolf, Shark, Husky, Elephant, Bear and Clown Fish. It has been amazing to see all the creative presentations, with exciting facts and beautiful artwork from all of our friends in Form Two. We have all learned a lot of information from each other and had great fun presenting to the class. Here are some of the facts we found out. A giraffe’s tongue is over 50cm long? Red Pandas are born in trees so they don’t get eaten by predators? The Californian newt eat their own eggs? Arctic foxes will eat polar bears’ leftovers? Chickens can fly (but not very far)? Komodo Dragons will eat their young? There are over 440 types of shark? Elephants weigh the same as 70 adult humans? Wolves can run huge distances? The black mamba is not actually black (but its mouth is)?! The red wolf is the most endangered carnivore? Koalas are the size of a jellybean when they are born? Please visit our classroom to see our beautiful projects and learn even more amazing facts about the living creatures we have studied.